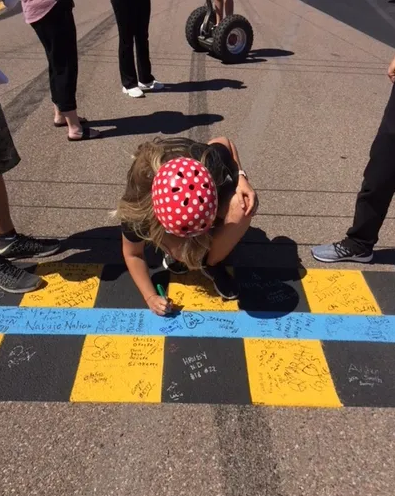 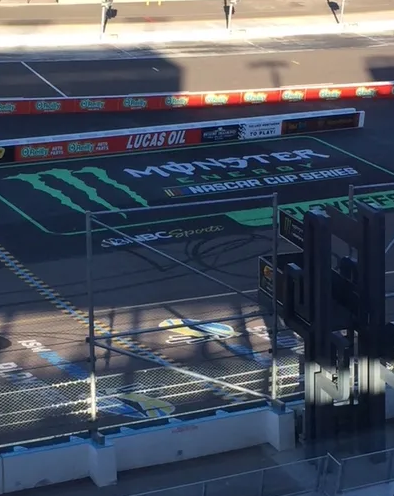 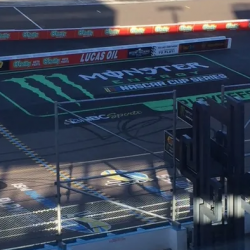 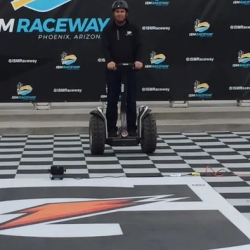 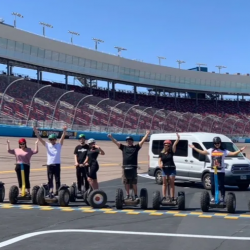 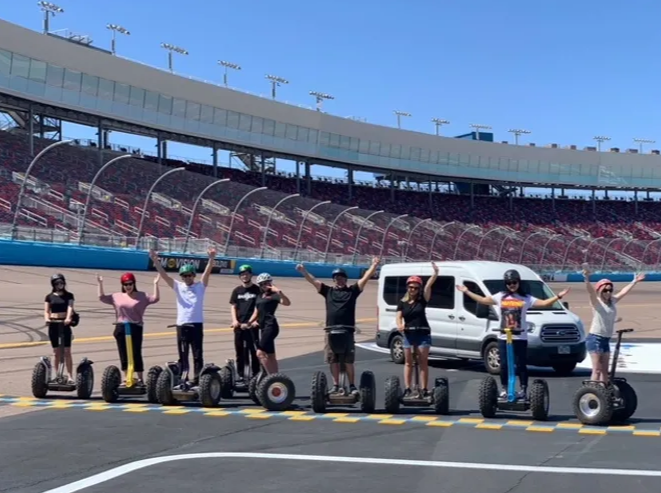 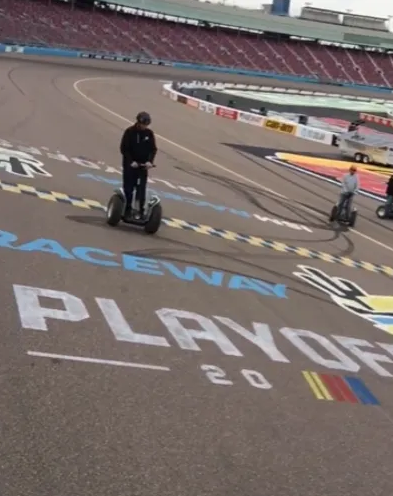 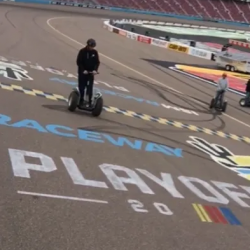 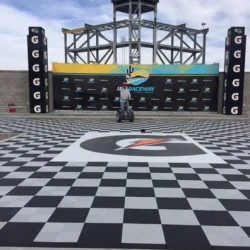 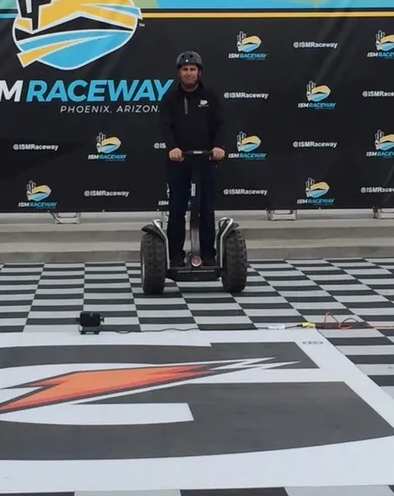 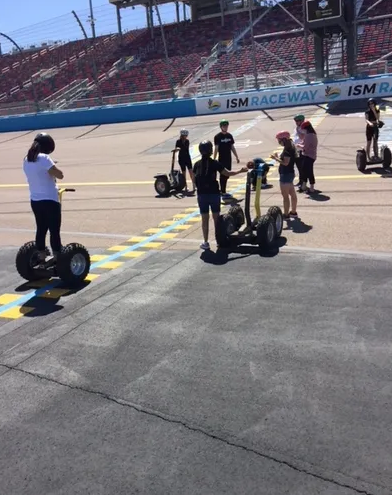 Segway a lap at ISM Raceway, the Valley’s NASCAR track, and get your picture taken crossing the finish line! 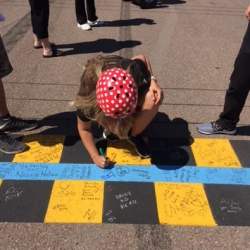 See where your favorite driver hangs out during race weekends. 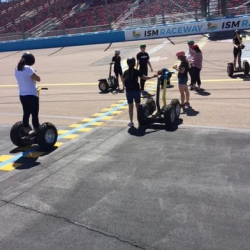 We will even visit the pit and garage areas so you can get the full experience. 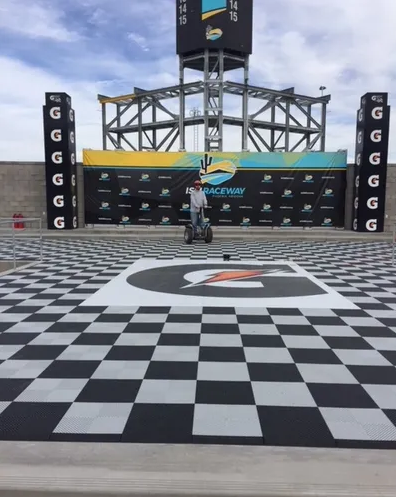 You’ll even get chance to get a photo in Gatorade Victory Lane! 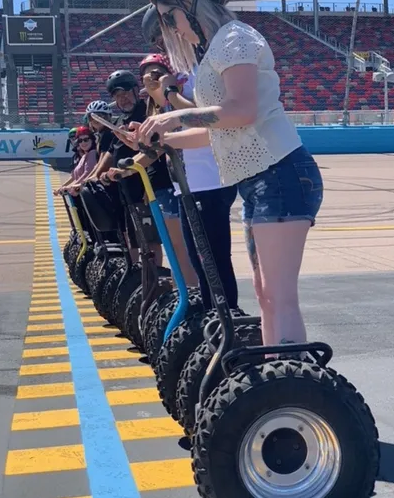 For our tours, we provide Segway PTs, helmets, and training classes, so you feel ready and confident to speed away around the track! 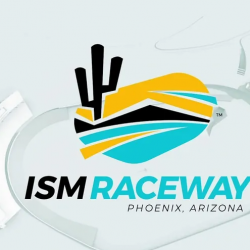 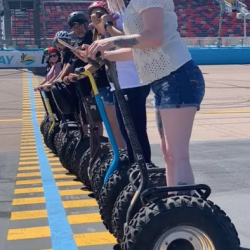 Book your ISM Raceway Segway tour today! 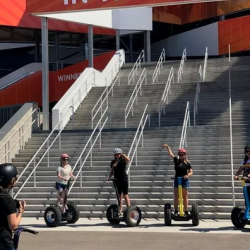 Don’t ride a Segway? 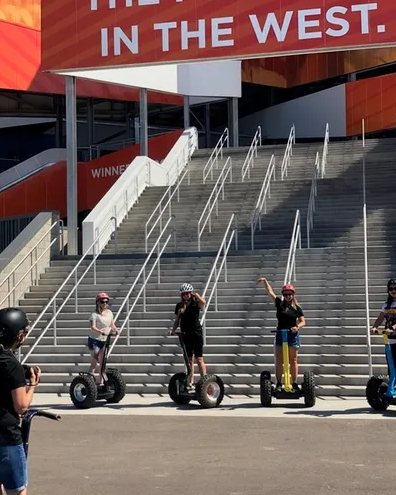 No problem, take our limo golf cart and still go on the tour with the members of your family! 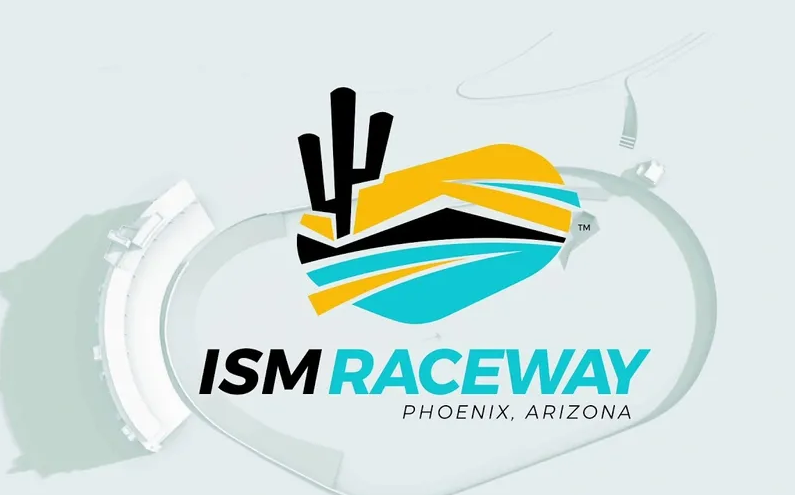 This location is open from October to mid-May.